Child falls from high-rise balcony in Kiryat Yam, pronounced dead at the hospital. 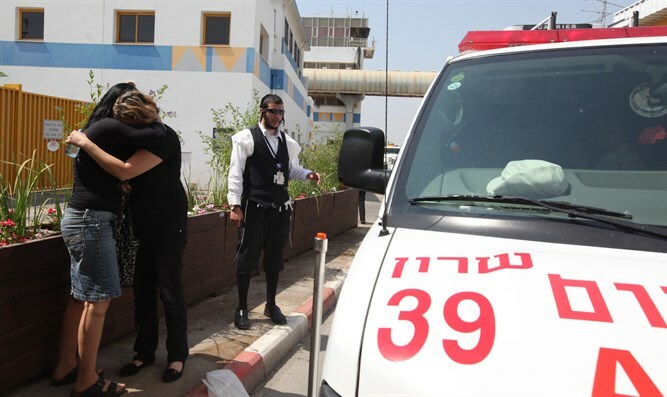 An 11-year-old boy died after falling from a balcony on the 12th floor of a building in Kiryat Yam Tuesday afternoon. The child was evacuated to Rambam Hospital in Haifa while undergoing CPR, but doctors were forced to determine his death after he arrived at the hospital. "When we arrived at the site, we saw a boy of about 11 years old lying on a concrete sidewalk. He was unconscious without a pulse and not breathing, with a great deal of systemic damage," said senior paramedic Ibrahim Kabiya and Magen David Adom paramedic Bat-El Buganim. "We gave him advanced medical treatment that included massages, respiration and medication, and we evacuated him to the hospital while performing critical resuscitation," the two added. "People at the site said they apparently fell from about 12 stories. The child was pronounced dead at the hospital." A police investigation into the tragedy is ongoing.